A few weeks ago we visited my husband’s cousin and his wife at their gorgeous home in New York just outside of Manhattan. Every room was beautifully decorated, but the one thing I just couldn’t take my eyes off of was this amazing plate wall in their kitchen. Is this stunning or what? 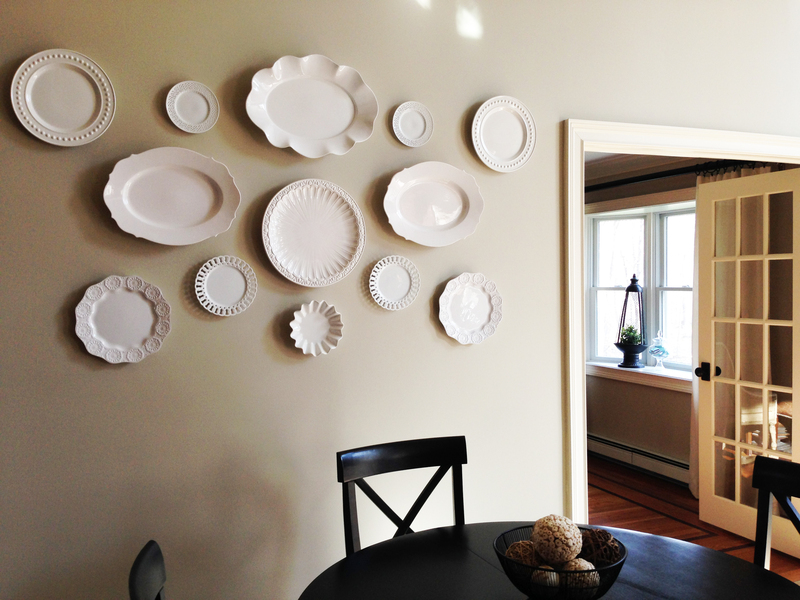 I’ve been wanting to do a plate wall in my kitchen for ages, and now after seeing this one it’s all I can think about. After doing some online browsing I found this design on Houzz (see below). Now I can’t decide between an all white design or something with a bit more color. Which design style do you prefer? 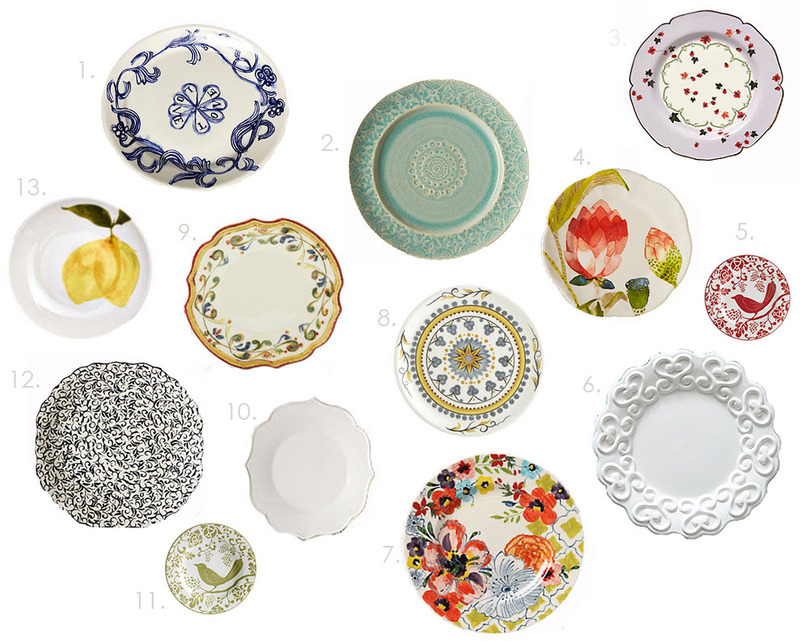 I had a little fun searching for chic, affordable plates (sold separtely, not in a set) and found these little gems. I have plates n bowls on my walls in our bedroom. They were handed down to me many years ago. I love the fact that they actually have a connection to me. It’s so nostalgic!! I like them both, hard to decide! But I think the colorful display could be added to more easily. 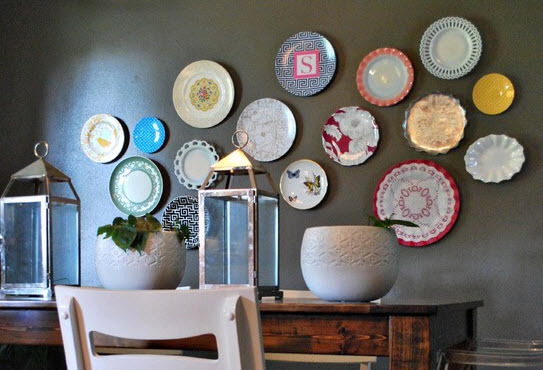 Think about the plates you could bring home and display from your travels! Then each plate would have a story. It would be a hanging scrapbook!